After I finished the Mac drawing, I wasn’t sure what to work on next. I came to decide that I’ve never drawn Luke Skywalker and that needed to be remedied. 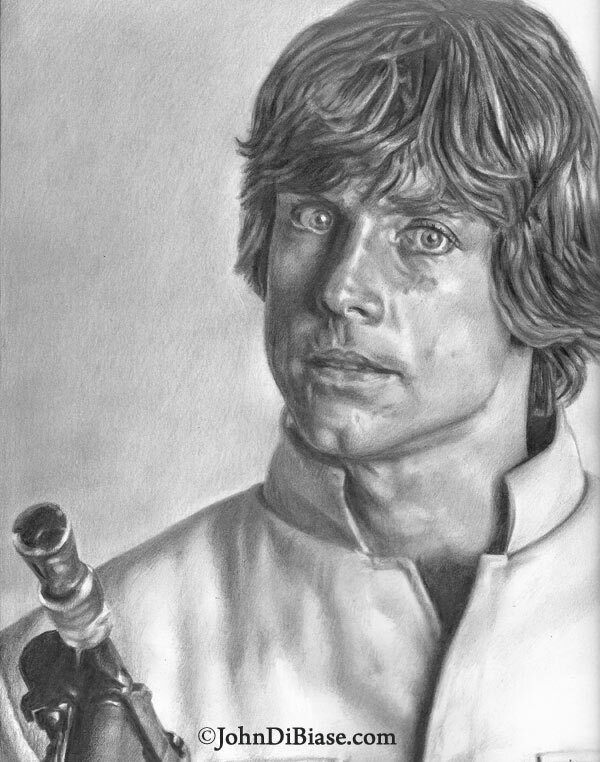 This is a drawing of a promo shot of Luke / Mark Hamill for Empire Strikes Back. All of it was done in pencil in August, 2012. John, I think I’m in love with you..your art, I meant your art, but still I love everyone I see the best I can. As an artist myself, I greatly envy your ability, If I had money for a print I would definetly buy one or five, I’m just a teenager with no job. Haha thanks so much man! I really appreciate that. 🙂 It’s something I’ve always really enjoyed, so it’s been great to get back in the swing of things in recent months. I’ll post a new one soon! 🙂 Thanks for the kind words and taking the time to leave a comment!